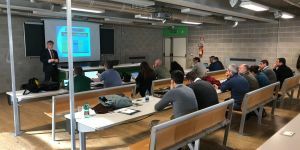 The project aims to build a dynamic, functional and sustainable pan European network of CBRN training centers, testing and demonstration sites (CBRN TC) strengthening capacity building in training and users-driven-innovation and research, based on well-identified needs. The project, led by Universite Catholique de Louvain will last 60 months at a total cost of nearly €3.5 million. 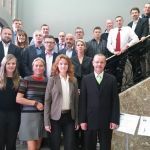 The Consortium is comprised of a well-balanced group of 13 partners from 9 European Countries with complementary skills: UCL (Belgium), VESTA (Belgium), SDIS77 (France), ARMINES (France), UMU (Sweden), FDDO (Germany), UPB (Germany), JCBRND CoE(Czech Republic), METU (Turkey), UNITOV (Italy), WMP (United Kingdom), WSU (Poland) and CNBOP-PIB (Poland) . 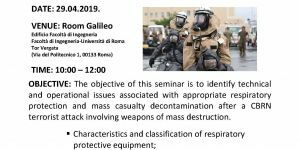 Dr. Pasquale Gaudio and Dr. Daniele Di Giovanni as representatives of the University of Tor Vergata (UNITOV) and members of the Directive Board of our #MasterCBRN took part to the kick-off of the project eNOTICE. 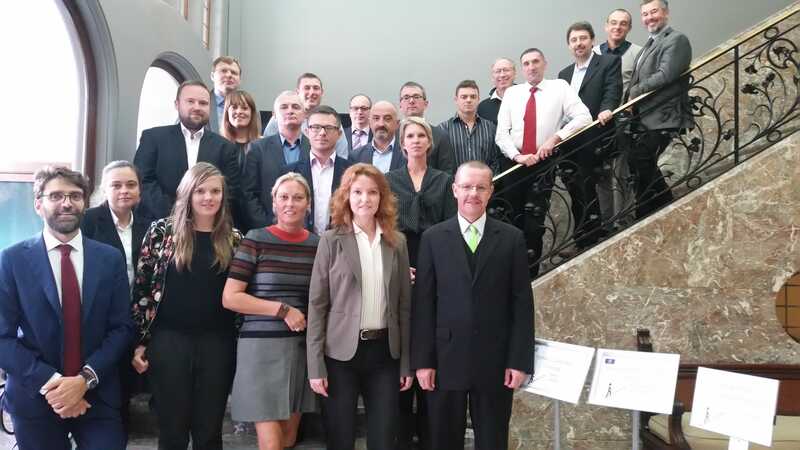 The Kick- off, held on 15 September in Brussels with the participation of all the partners, has been a good chance to have an overview presentation of the project's aims and objectives. The meeting represented a fruitful opportunity for the project team to consolidate the consortium, to remark project management key points and to speak about the first joint activity planned for 12 December 2017 organized by SDIS77 (Service Departemental D’Incendie et de Secours de Seine et Marne). Take the TORRENOVA exit, drive to the traffic light and turn left (towards "Casilina"). Continue on "via di Passolombardo" and follow the signs to the Engineering School ("Ingegneria"). Inside lane (decreasing exit numbers): take "Roma-Napoli" highway exit and, on the ramp, turn left to "Romanina". After passing over the ring, take "via Stanford" and follow the signs to "via della Sorbona". At the first roundabout, take the first exit (left) to "via del Politecnico". Outside lane (ascending exit numbers): take the "Romanina" exit and, after passing over the ring, take "via Stanford" and follow the signs to "via della Sorbona". At the first roundabout, take the first exit (left) to "via del Politecnico". Take the Rome-Fiumicino train ("Leonardo Express") at the airport to the terminal (Termini central station). Take subway line A towards "Anagnina" and get off at "Anagnina" (last stop). Take bus 20 Express and get off at "via Cambridge"'s second stop. Take the airport shuttle bus to the "Anagnina" subway stop (line A terminal).